Go from mainly local businesses, to tap into global markets. Operate with remote and distributed workers, reducing office overhead. Accomplish more throughput with automation. Serve customers better through technology. Level the playing field when it comes to competing with larger entities. Untether owners and staff from our desks, integrating work and life better. No more do your most important files, whether documents photos or video, need to be stored on your hard drive or on a server on site. Or (horror) in paper filing cabinets. Let’s just take one scenario. Imagine making a customer presentation. In the past, you would have had to download the presentation and take it with you. If you forgot or you needed last minute changes, an assistant possibly had to email the file to you on the road. In the past, I’ve wasted more time merely trying to coordinate presentations while traveling than I care to remember. Today it’s so much easier. It’s just a matter of pulling files from the cloud whether you’re at a conference or at your client’s headquarters in a far-off city. Sharing files in the cloud is more than convenience while traveling, though. Today’s small businesses operate virtual offices using cloud tools to allow collaboration with partners and employees across the country and across the world. And you never have to worry about a hardware failure causing a disaster if you’ve stored all files and data in the cloud. Been there, done that — and spending hours trying to recover lost files is never pretty. There are a number of tools to help today. For example, Microsoft OneDrive allows you to sync and store files, so they can be accessed from any browser or mobile device. Even better, you can set up computers to save everything to OneDrive by default so you and your staff never have to manually transfer anything to the cloud. That means you can share and collaborate from anywhere. Office 365 allows you to build virtual networks of up to 300 users who can share files through web versions of Outlook, Word, Excel, and PowerPoint. If your business needs to grow rapidly, you can scale inexpensively through SharePoint on Microsoft Azure. Technology has also made it possible for workers to collaborate from anywhere. A truly virtual office has emerged, one whose employees need no longer be in the same city or even on the same continent. There are many technical tools that can allow you, your partners and employees to co-author in Word, PowerPoint and OneNote, for example. Skype for Business allows you to get input and hold meetings through instant messaging, screen share, talk or video chat. Here at Small Business Trends our entire team relies on Skype to collaborate. For example, we hold our Executive Team meetings via Skype while viewing meeting reports on shared cloud documents. What’s more, we use Skype to stay in touch with freelancers and partners, because it’s so ubiquitous almost everyone we encounter has a Skype ID. Have documents with some information you need to share and some information you don’t want to share? Microsoft GigJam provides a breakthrough way to share the right information with the right people in real time. In the age of the internet, data security is just as important as physical security for your offices. A variety of tools exist to keep your business data safe in a world of malware, phishing, host file redirect schemes and more. The most important thing that the modern small business does is integrate security so deeply into daily operations, that you and your workers don’t treat it as a special event. Computing security simply is there at all levels, all the time. Data protection is built-in with Enterprise Data Protection and Office 365 Mobile Device Management for all devices — even for “bring your own device” situations. You can securely access content anywhere with Multi-factor Authentication for when you’re away from the corporate network. Security updates for Office 365 are provided monthly to ensure that you can keep your data safe. Oh, and don’t forget the free Windows Defender antivirus protection that is integrated into Windows 10, and Windows Hello face-scanning login protection for each worker. Technology has joined the business world as more than a tool. Today technology in the form of artificial intelligence operates almost like a human worker. Virtual assistance can be activated from a desktop or mobile device and provide vital information in the fraction of the time it might take to do the research yourself or assign it to a staff member. Cortana, for example, can manage your calendar and give you appointment reminders, track packages, teams, interests and flights. Cortana can send emails and texts, create and manage lists and open any app in your system. Another iteration of this smart technology — bots — can answer customers’ simple questions and provide information vital to providing better customer service. Through the Microsoft Bot Framework, you can build your own bots to interact with system users and customers through texting, Skype, your website or Office 365 mail. Working remotely brings lots of benefits. There is less time wasted commuting and less stress. What’s more, employees who work from home are often happier, better connected to their job and more productive when they are given the choice. Technology makes it easy to stay connected. For example, my entire company works virtually. Everyone in Small Business Trends works from his or her home office. Without shared files, collaboration tools, and a variety of mobile devices — we wouldn’t be able to operate. There are hard business benefits, too. By leveraging technology to operate virtually my company has been able to maximize profitability and self-fund our growth, because overhead is low. What’s more, our workers make jobs fit around our lives — not the other way around. We’re not tethered to our desks. If we need access to a file, we can call it up on our mobile devices, wherever we happen to be. We’re free to travel or simply run errands to keep body and soul together. Hopefully I’ve given you a flavor for the modern SMB, including five best practices. 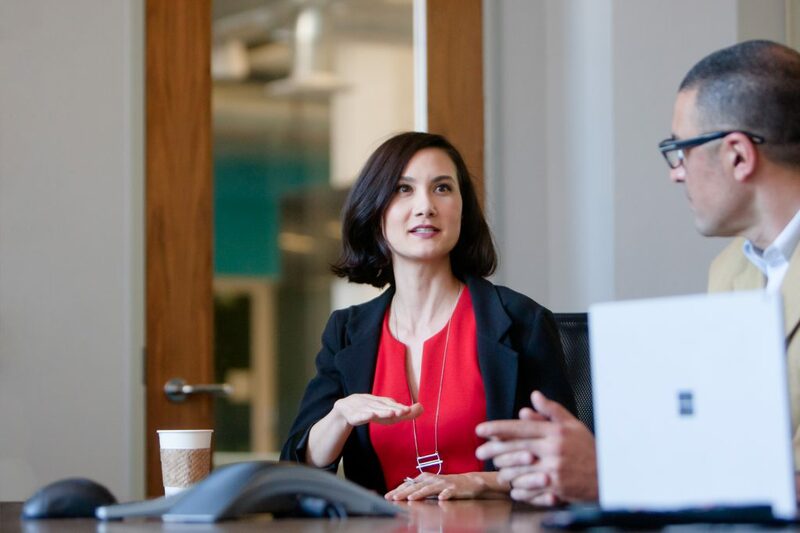 What’s important to realize is that Microsoft can be your partner for transforming your business into the modern SMB and fully adopting these best practices. That’s why I am delighted to be a Microsoft Small Business Ambassador, because I’ve used the power of technology to run my business in today’s world in a cost effective and efficient way. And Microsoft has been core to enabling that. This article originally appeared on Small Business Trends.